Syracuse hosted the infernal Duke Blue Devils tonight and scored 53 points in the second half to storm back from an early deficit and win at the buzzer. Grayson Allen only shot 2-for-11, and Cuse senior John Gillon led all scorers with 26. 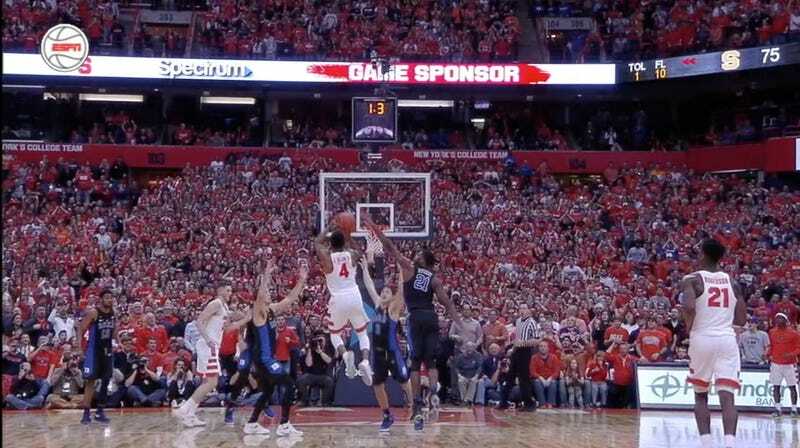 Gillon, who embarrassed Jayson Tatum earlier in the game, hit a wild three in traffic at the death to on stomp Duke’s heart and win the game for Syracuse.